Aroma Life Essential Oil is an excellent blend to support the emotions of the heart. It is very harmonizing and supportive. In the Vitaflex technique Aroma Life is applied to chakra and Vitaflex points to help with emotional imbalances in the heart energy. In the Vita Flex class I took, we were taught a technique that is called the "heart pump". It involves applying the vitaflex technique to two of the heart points in the left hand and elbow and alternating in a pump fashion between the two points. Amazing! AromaLife works to provide the emotional balance in this technique. This is an easy reference guide for Aroma Life Blend. It will tell you how to use your oil blend and what to use it for. It will also provide you with some fun tips and testimonials! Buy Aroma Life Essential Oil Here! What is in Aroma Life Essential Oil Blend? There are four different therapeutic grade oils in this blend. They are listed below along with a brief description of each oil. Marjoram Essential Oil (Origanum majorana) It is beneficial for occasional simple nervous tension. It is a key oil in the Raindrop Technique! Helichrysum Essential Oil (Helichrysum italicum) known for its restorative properties and provides excellent support to the skin, liver, and nervous system*. Use for muscle tension following exercise. Ylang Ylang Essential Oil (Cananga odorata) has a long history in skin and hair care products, particularly in Asia, where it is used to promote luxuriant hair. It also restores confidence and equilibrium. What are the Documented Uses for Aroma Life Essential Oil? Opening the heart; grief/sadness release. Stress release. What is the Aromatic Effect on the Mind? Calming. What is the Spiritual Influence? Supports us in reducing stress and opening the heart chakra. Releases sorrow and grief and helps us embrace joy, love peace and gratitude. 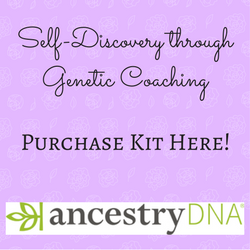 Helps us release the emotion of aloneness or the feeling of being alone and not supported. Dilute 1:15 for full body massage. Note about animals: Certain oils can be very toxic to cats. Citrus products and oils in particular when not therapeutic grade! Please consult your vet if you are not sure about applying any essential oil to your pet. What are the Safety Precautions? This essential oil does not have any known contraindications. 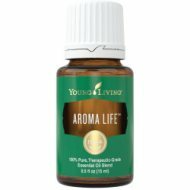 Want to Purchase Therapeutic Aroma Life Essential Oil? This is an oil I like to substitute in the Raindrop Technique.